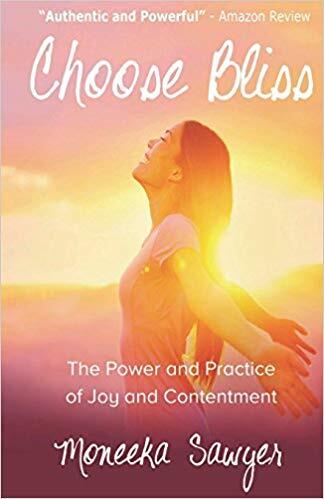 “Choose Bliss: The Power and Practice of Joy and Contentment” is a wonderful guide to a person’s path towards a life filled with happiness, passion, meaning, and purpose. The book provides clarity on the true meaning of bliss, the secrets of gratitude, the power of forgiveness, positive thinking, and much more. Through her book, Moneeka Sawyer helps readers to live a better life by making choices that support their happiness. She emphasizes how increasing emotional intelligence is a great way to do and achieve more, and enjoy the fruits of a successful and happy life. Most of all, she promotes understanding and self-awareness as a way to let go of troubles and anxieties that can stop a person from living their best life. From its title, “Choose Bliss” emphasizes how happiness is a choice and is a habit we can develop. Her best-selling book aims to teach readers how to embrace more positivity in their lives. The book provides clarity on the true meaning of bliss, the secrets of gratitude, the power of forgiveness, positive thinking, and much more. It’s a journey that readers will truly be thankful for. Dedicated to sharing happiness with a wider audience, Sawyer’s “Choose Bliss” will soon be part of the upcoming 2019 LA Times Book Fair. A wonderful literary and cultural festival, this affair unfolds on April 13 – April 14, 2018. Great selections of different titles and heaps of fun definitely await everyone who will stop by! Moneeka Sawyer has often been described as one of the most joyful people you will ever meet. She finds her bliss through helping people live a life filled with meaning, purpose, passion, and joy. She has been a life coach in the Silicon Valley for over a decade and recently authored the book “Choose Bliss” to help people create a whole new sense of power, energy, and excitement about their relationships, businesses, and their lives. Moneeka is the recipient of the Woman of Impact Quill award from Focus on Women Magazine, and the Quill Award for Best Literary Work from the Governor of the State of Maryland. Her expertise has been featured on stages nationally and internationally, and on many media outlets including ABC, CBS, and FOX.